Welcome to the Sassy Blinging Babe's BlogHop! 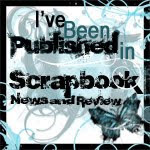 You must have just visited Kelly's Paper Dreams Blog, isn't it fun? Now on this blog, I'd like to share a fabric flower that I made as a Mother's Day project. 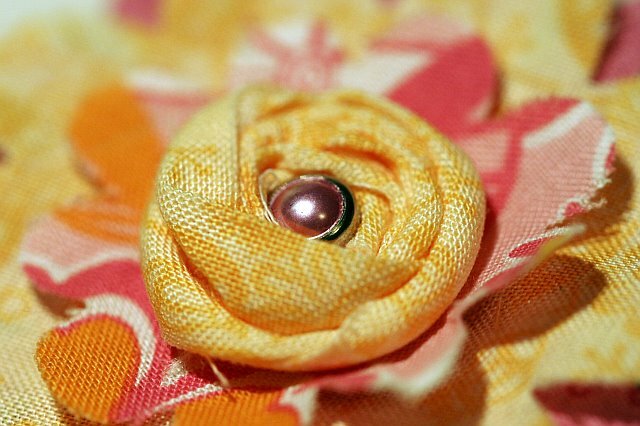 There are many uses for making fabric flowers. 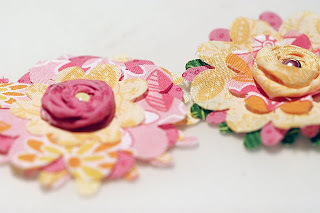 Estelle once told me that she used the Sizzix to make fabric flowers for brooches. 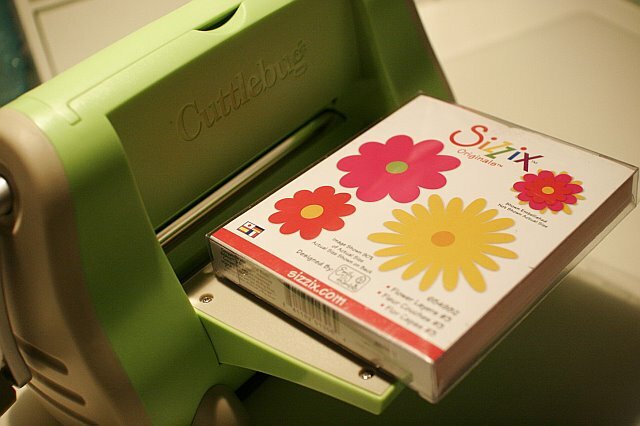 Since I have some Sizzix flower die as well, I decided to give it a try. 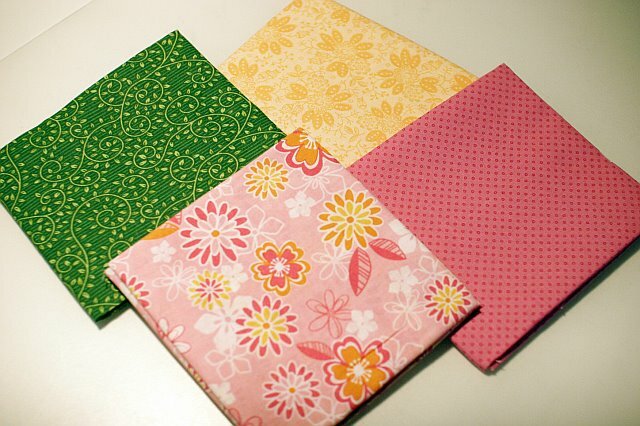 I started out with 4 quilt squares I got from the local fabric store. 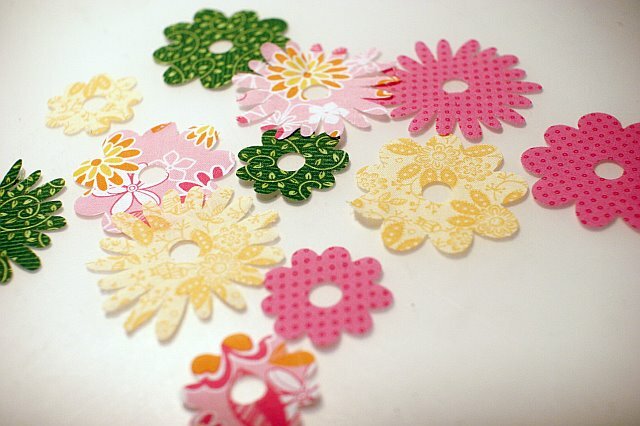 I then used the Sizzix Flower die and the Cuttlebug to cut out flower pieces. For this thick die, I used a stack of two Plate B and an envelope to cut the fabric. The addition of the envelope underneath the smooth side of the die gave me the right thickness such that the cuts are clean. You can probably skip the envelope if your fabric is thick enough. After this is done, I inserted a small pearl brad at the center and adhere the center to the stack of flower petals I made earlier. 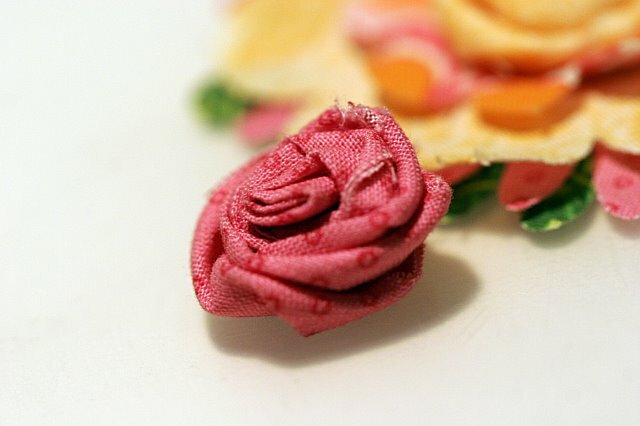 Then I glued the flower to a small piece of felt so that it'll go on a hairpin or a brooch easily. 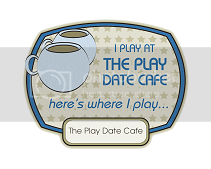 Thanks for looking.. if you leave a comment, you have a chance to win! I will pick one random commenter and one random Sassy Blinging Babe commenter to receive a small RAK. Check back on Apr 24th to see if you have won (and let me know how to contact you)! Now it's time to check out the next hop stop: Cyndi's Place! Have fun! Oh my these are so pretty!!! I love the colours and how the centres were created - I'll have to check out that tutorial! Thanks so much Shirley! These are gorgeous!!! My grandma gave me some fabric scraps. I'll have to try these. But, I don't have any flower dies...one more thing I "NEED." LOL! Very neat flowers.. Thanks for sharing Shirley! So very pretty Shirley! !...As Candace mentioned, you're enabling big time! We now all need to own flower template plates!! LOL! Well...it's no big secret that I love making flowers...now I know another kind! Thanks so much for this Shirley..I'm gonna give them a go!!! These are very pretty and I can think of lots of crafty things to use them for!!! Great job, Shirley. How pretty these are see you know how to make flowers too.. All the ladies do such nice art.. Thanks for the tutorial I love your pictures..
Shirley, your tutorial is awesome. Those flowers are cute, I will have to try some of them. 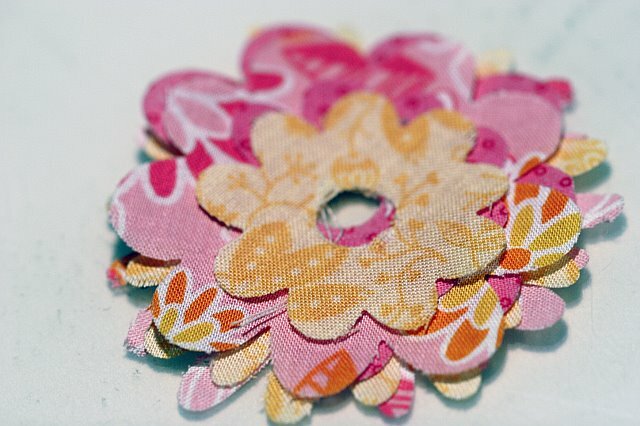 I think I can use one of my cuttlebug flower dies or will they not cut fabric. I hope you are having a very nice weekend.